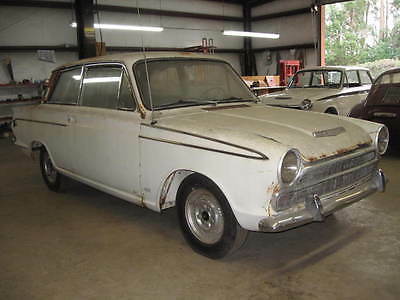 You are bidding on a very original 1966 Ford Cortina GT. This car has never had any attempt at a restoration and still retains its original 85 HP GT engine. It has not been on the road for at least 25 years. The taillights and door latches were removed about 25 years ago by the previous owner to use on a TVR kit car he was building. Other than those items, the car is essentially complete. All the chrome trim that would ordinarily come on this car is there and accounted for. Not a single piece is missing. 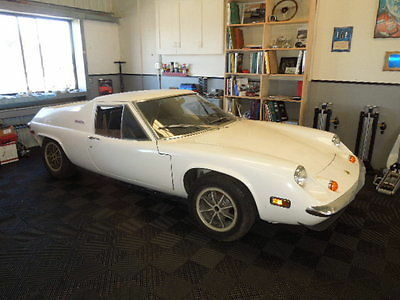 However, I suspect that whoever buys this car will probably make a Lotus Cortina clone out of it instead of placing all the chrome trim back on it. The only significant rust is along the rear of the driver’s side front fender and at the front edge of the hood, as seen in the pictures. Other than a couple very small holes in the floor below the accelerator pedal, the rest of the floors are in excellent condition. Any rust on this car can be seen in the pictures. The engine has not been started in several years, and I have not tried to turn it over. I would expect that it will probably need a rebuild. I expect payment within 5 days of the end of the auction. The car can be picked up after your check has cleared my bank. Shipping is the responsibility of the buyer, but I can give the name of a good, reliable shipper if you wish. Buyer will be given a Bill of Sale and the Georgia Title I received when I bought the car. If you have any questions, you can use the “Ask Seller A Question” box, or call me at (912) 222-5771 between 9 AM and 9 PM, Eastern time. 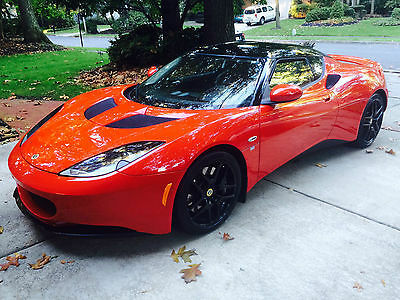 Lotus Evora 2+2– Every option, including navigation, big brakes, titanium sport exhaust, rear seats, full body star shield, build in wiring harness for trickle charger (every Lotus needs one),two sets of keys, all books and records, special two tone paint that gives the car a totally different look. Ardent red/black, black interior. Powder coated alloy wheels. Car is in perfect condition and collector owned. No issues, just serviced. Second owner, bought at Auto Sport, NY. Call with any questions, 609-504-0678. 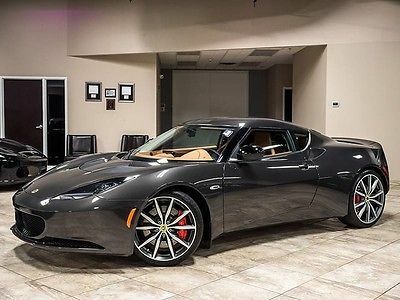 Photo Viewer 2014 Lotus Evora ASK SELLER QUESTION Vital Information Year Make Model Mileage 2014 Lotus Evora 41 Exterior Interior Stock# VIN Ardent Red Ebony #L14-05 SCCLMDTC7EHA10730 Engine 3.5L V6 VVT-I Engine view window sticker View All Photos Description 2014 Lotus Evora Beautiful Evora finished in Ardent Red with the rare factory Black Package. 19/20" Black Wheels, Sport Pack, Star Shield, and much much more! Fantastic handling and driving motorcar at a great value. Ask us about special pricing for Lotus and competitive makes owners! Great savings!!! Call us about our owner loyalty/conquest bonus on this car! 512-401-2663 Contact Us Dealer Contact Aston Martin of Austin Standard Equipment ENTERTAINMENT Regular Amplifier Radio w/Clock, Aux Audio Input Jack and External Memory Control 4 Speakers Concealed Antenna EXTERIOR Light Tinted Glass Front Splash Guards Clearcoat Paint Black Grille Tires: P225/40ZR18 Fr & P255/35ZR19 Rr Pirelli P-Zero Performance Fixed Rear Window Projector Beam High Intensity Low/High Beam Auto-Leveling Headlamps w/Washer Front Fog Lamps INTERIOR Gauges -inc: Speedometer, Odometer, Engine Coolant Temp, Tachometer, Trip Odometer and Trip Computer Engine Immobilizer Recaro Front Sport Seats Cargo Space Lights Systems Monitor Leather/Aluminum Gear Shift Knob Instrument Panel Bin, Driver And Passenger Door Bins Day-Night Rearview Mirror Manual Air Conditioning 6-Way Driver Seat -inc: Manual Recline, Fore/Aft Movement, Cushion Tilt and Manual Rear Seat Easy Entry Full Floor Console w/Covered Storage and 2 12V DC Power Outlets FOB Controls -inc: Trunk/Hatch/Tailgate Remote Releases -Inc: Power Trunk/Hatch and Power Fuel Sport Leather Steering Wheel Analog Display Power Door Locks 2-Way Power Passenger Seat -inc: Power Recline, Manual Fore/Aft Movement, Cushion Tilt and Manual Rear Seat Easy Entry Trip Computer 6-Way Driver Seat -inc: Manual Rear Seat Easy Entry Outside Temp Gauge Manual Tilt/Telescoping Steering Column MECHANICAL Double Wishbone Front Suspension w/Eibach Coil Springs Single Stainless Steel Exhaust w/Polished Tailpipe Finisher Transmission: Sports Ratio 6-Speed Manual 4-Wheel Disc Brakes w/4-Wheel ABS, Front And Rear Vented Discs and Panic Brake Assist Bilstein Brand Name Shock Absorbers 15.9 Gal. Fuel Tank 3929# Gvwr Engine Oil Cooler Rear-Wheel Drive Hydraulic Power-Assist Steering SAFETY Electronic Stability Control (ESC) Dual Stage Driver And Passenger Front Airbags Side Impact Beams ABS And Driveline Traction Control Low Tire Pressure Warning Secure Online Credit Application Applying for a vehicle loan online is one of the quickest and easiest application methods. Our secure online application form is easy to complete, all you need are a few personal and employment details. Get started now. Aston Martin of Austin Aston Martin of Austin,Bentley Austin and Lotus of Austin are three flagship marquees offered by John Eagle European, the ultra luxury division of John Eagle Dealerships, one of the largest, privately owned auto groups in the nation. Under the direction of dealer principal T.L. “Sonny” Morgan, our team works in unison to provide an uncompromising quality of passion-inspired service. Whether you are shopping for a new Aston Martin,Bentley,Lotus or a superior pre-owned value, you can be confident that your personalized ownership experience will reflect attention to detail equaled only by that of the legendary British marquees. We welcome your inquiries and look forward to introducing you to John Eagle European. TERMS & CONDITIONS EUROAUSTIN1007 is a registered eBay user name of John Eagle European. John Eagle European is a Texas Dealer operating under Texas License number P107972. John Eagle European is located at 12989 Research Blvd Austin, TX78750. John Eagle European's office can be reached at 512.401.2663 AT AUCTION CLOSE Successful "winning" bidder must telephone 512.401.2663 within 24 hours after the auction has ended to verify purchase and make arrangements to complete the transaction. Within (4) business days of the end of auction, full payment must be received either by cashiers-check, approved bank draft, or certified funds. If funds are not received, and an alternate arrangement has not been made, the vehicle can and will be made available to other potential buyers on a first-come, first-serve basis. OUR GUARANTEE We have disclosed as much information as possible about this vehicle and aim to only carry quality pre-owned merchandise. John Eagle European recommends all vehicles be inspected BEFORE leaving our facility. If upon personal and/or authorized professional inspection of the eBay purchased vehicle at our facility, buyer finds a substantial discrepancy between the published report and actual vehicle, we will either correct the problem at no charge, or work out a compromise, or refund all monies paid. Buyer will not be responsible for any eBay related fees and will be dismissed from any contractual obligation with eBay to purchase the vehicle if and only if inspection proves vastly different from published advertisement. SHIPPING - TRANSPORT OF VEHICLE Returns are allowed in the event the vehicle is shipped and you are dissatisfied. However, a 10% restocking fee applies and the return must take place within 7 days from receipt and the vehicle must have fewer than 200 miles difference upon return. Return shipping fees are the obligation of the buyer. John Eagle European values your business! We want you to be completely satisfied with your online automotive experience from purchase to delivery. Please understand that John Eagle European will arrange shipping for you as a value added service only. We are NOT the shipping company. All shipping questions and/or concerns should be addressed directly with the shipping company used to transport said vehicle. Should you be unsatisfied with your shipping service, please let us know! We aim to recommend only quality vendors. ACCEPTED FORMS OF PAYMENT John Eagle European accepts cashiers checks, certified funds, or verified drafts from known/approved financial institutions. We also accept payment from online lenders Capital One Auto Finance, and eBay Finance. All buyers pay a $100.00 administrative fee plus a $50.00 documentary fee. Texas buyers must pay 6.25% sales tax plus applicable Texas fees. Out-of-state buyers are responsible for their own taxes, registration, etc. in their own states. DISCLAIMER All vehicles are sold "as-is" and without warranty. Some vehicles will have factory warranty remaining (will be stated in our description). All cars come with one master key unless otherwise stated. Vehicles come with books and/or manuals only if pictured in photo gallery and/or if stated in the advertisement. * We make every effort to present information that is accurate. However, it is based on data provided by the vehicle VIN decoding and/or other sources and therefore exact configuration, color, specifications & accessories should be used as a guide only and are not guaranteed. Under no circumstances will we be liable for any inaccuracies, claims or losses of any nature. Furthermore, inventory is subject to prior sale and prices are subject to change without notice. Prices do not include taxes, registration fees, finance and/or documentation charges, or shipping fees. To ensure your complete satisfaction, please verify accuracy prior to purchase. ** John Eagle European also offers and recommends affordable extended warranties, please call us for more details. ** Online Bidders are entering into a legal and binding contract to purchase the vehicle described above. If you do not intend to purchase this item, DO NOT BID! Ad created by eCarList.com. Call 214-722-8200 to find out how eCarList can service your dealership. 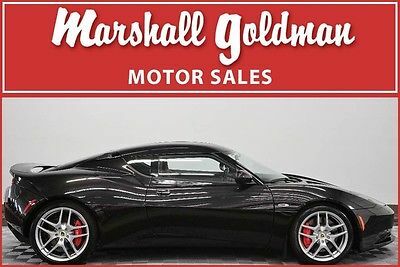 2014 Lotus Evora S Coupe 2-Door 2014 Lotus Evora S 2+2 Coupe 6-Speed MANUAL! 4700 Miles! Tech Package! Stunning! 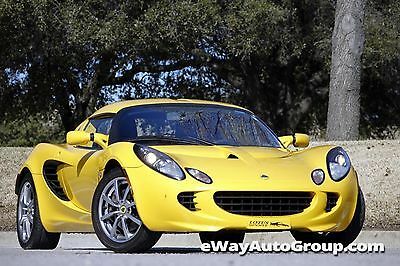 2006 Lotus Elise Sport/ Touring Package 17K MLS! *SPORT/TOURING PCKS! 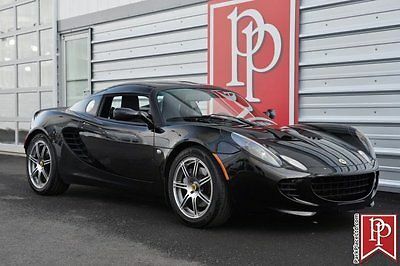 *STARSHIELD*HID'S/R-DIFFUSER/CARBON SILLS&FRONT LIP Year Make Model Mileage 2006 Lotus Elise Sport/ Touring Package 17,233 Exterior Interior Price VIN Nightfall Blue Biscuit $40,998 SCCPC11136HL30047 Engine 1.8L DOHC MPFI 16-Valve Aluminum Alloy Mid-Mounted I4 Engine AutoCheck view Carfax Highlights View Carfax Report Not all accidents or other issues are reported to CARFAX. The number of owners is estimated. See the full CARFAX Report for additional information and glossary of terms. Carfax Highlights No Accidents / Damage Reported to CARFAXNo Airbag Deployment Reported to CARFAXVehicle Qualifies for the CARFAX Buyback GuaranteeNo Structural/Frame Damage Reported to CARFAXNo Manufacturer Recalls Reported to CARFAXNo Indication of an Odometer Rollback3 OwnersNo Total Loss Reported to CARFAX Description 2006 Lotus Elise Sport/ Touring Package This gorgeous Nightfall Blue Metallic over Biscuit leather 2006 Lotus Elise has only 17k miles and features both TOURING and SPORT Packages! Immaculate throughout and has a clean Carfax history report! Options and upgrades include:SPORT PACKAGETOURING PACKAGESTAR SHIELD PAINT PROTECTION FILMCARBON FIBER SIDE SILL COVERSCARBON FIBER CENTER CONSOLECARBON FIBER FRONT LIPXENON HEADLIGHTSREAR DIFFUSERAs nice as they come! Call sales department today for more details! Contact Us Dealer Contact LAW Auto Group Ask Dealer A Question If you have a question, please call or complete the form below for a quick response. Name Email Phone Question(s) Optional Equipment TOURING PKG[___]Cost: $1350.00Details:Leather SeatsMP3 PlayerPower WindowsConvertible Soft Top SPORTS PKG[___]Cost: $2480.00Details:Aluminum WheelsTires - Front PerformanceTires - Rear Performance STAR SHIELD[___]Cost: $995.00METALLIC PAINT[___]Cost: $590.00 Standard Equipment EPA FUEL ECONOMY RATINGS City 22/hwy 29 (1.8L engine/6-speed manual trans) EXTERIOR Black cloth soft removable targa top Underbody aero cladding Dual body-color manual mirrors Body color rear trunk lip spoiler Rear air dam Rear diffuser w/aluminum grills Intermittent windshield wipers Tinted glass Front mud guards Front/rear body color bumpers Front air dam INTERIOR Engine start button Aluminum trim on shift knob, e-brake handle, window winders, floor, center dash console, doors & steering wheel Leather & cloth door trim Anti-theft system w/immobilizer & alarm Leather-wrapped Momo steering wheel Black carpeted front floor mats Blaupunkt AM/FM stereo radio w/CD player, (4) speakers, RDS Pwr central locking Air conditioning Cloth seat trim w/leather inserts Tachometer Dual sun visors Remote keyless entry system w/multi-function remote Dual composite sport front bucket seats w/manual recline & integral headrests MECHANICAL Pwr rack & pinion steering 6-speed manual transaxle w/OD Front AP Racing/rear Brembo pwr vented cross-drilled disc brakes P225/45R17 Yokohama Advan Neova AD07 LTS performance rear tires 16" 8-spoke alloy front wheels w/wheel locks P175/55R16 Yokohama Advan Neova AD07 LTS performance front tires 1.8L DOHC MPFI 16-valve aluminum alloy mid-mounted I4 engine Independent front/rear suspension w/Eibach coil springs & Bilstein gas shock absorbers Rear wheel drive Front stabilizer bar 17" 8-spoke alloy rear wheels w/wheel locks Inflatable spare tire kit Stainless steel silencer w/dual chrome exhaust tips SAFETY Driver & passenger airbags Side guard door beams Front outboard 3-point seatbelts 4-wheel anti-lock braking system (ABS) Photos Secure Online Credit Application Applying for a vehicle loan online is one of the quickest and easiest application methods. Our secure online application form is easy to complete, all you need are a few personal and employment details. Get started now. About Us Welcome to the LAW Auto Group website. In an impersonal world, we sell one-of-a-kind luxury, sport and exotic autos to one-of-a-kind people, one person at a time. We make painstaking efforts to find excellent and rare pre-driven cars in pristine condition -- we hand-select each one. We check engines, operating systems, technologies, luxuries, and the intangibles -- styling, color, interior textures, etc. The cars are kept indoors, in our spotless warehouse. While these are pre-driven cars, we do everything humanly possible to ensure that every vehicle that goes out of our door is impeccable. We sell these finest pre-driven autos to the public online, through eBay motors, cars.com and our website, at near wholesale prices, often saving our customers thousands. Any car that does not meet our demanding standards is sold to our dealer network or at auction. We have spent decades selling cars across America...always one car and one person at a time and always at dramatic savings. We finance cars. We offer extended warranties. We ship cars anywhere in America and the world -- we are located near Chicago's O'Hare. We even pick up our customers at O'Hare and drive them to our facility, so they can see and test drive the cars that match their wants, needs and desires. Many companies echo our motto -- "The customer is always first and always right." We live it, every individual, every car, everyday. We hope you will view our autos and join our LAW Auto Group family. We are proud to announce that part of the proceeds goes to: © 2015 LAW Auto Group, Inc. | 877 Supreme Dr. Bensenville, IL 60106 Below are a few of the other vehicles currently available from LAW Auto Group Methods of Payment ... Certified check, Bank to Bank wire transfers, or 3rd-party financing. All funds must be in US dollars only. Please be sure to have full payment and/or approved financing in place before making your final bid. Please call us with any questions or additional information. Due to the difficulty of Foreign Currency/Bank Transactions, purchases from clients outside of the United States, must pay by Wire Transfer only. Please call with any questions or explanations. Deposit Due ... The successful high bidder will submit a $500 NON-REFUNDABLE Deposit due immediately following the close of the auction. This $500 deposit is good towards the purchase of the vehicle and will be deducted from the total amount of the purchase. We accept VISA, MASTERCARD, PAYPAL and/or personal checks for the initial deposit only. If the vehicle cannot be picked up or paid for completely within 7-days from the close of auction, a $2,000 NON-REFUNDABLE deposit is due unless other arrangements are made beforehand (just keep us informed). Deposits and fees are NON-REFUNDABLE if the vehicle is not paid for. Balance of Payment Due ... The buyer agrees to pay remaining balance due (plus applicable fees and taxes) within 7 days of the close of the auction. All financial transactions must be completed before delivery of the vehicle. Additional Fees and Taxes ... Applicable fees are: (1) EVERY transaction requires a $332 dealer prep fee and an additional $15.00 30-day Illinois drive-away permit fee and a $168.43 Illinois Documentary Fee Plus State Sales tax if applicable. (for Illinois residents and residents of tax reciprocal states with the state of Illinois, which include: Arizona (5.6%), California (6.25%), Florida (6.0%), Hawaii (4.0%), Indiana (6.25%), Massachusetts (5.0%), Michigan (6.0%), South Carolina (5.0%)or $300.00. Out of state buyers are responsible for ALL state, county, city taxes and fees, as well as title/registration fees in the state that the vehicle will be registered. We will provide you with proper sales tax documentation showing proof of the taxes we collect for you. Vehicle Titles ... Most vehicle titles are on hand and ready for delivery. Some vehicle titles may be held by banks or lenders as collateral for loans. In these cases, there may be a short delay in receiving the title and/or documents which can take 10-21 days from the time we pay the vehicle off. While we usually have all titles in our possession at the time of delivery, there are occasions where we may be waiting for them to arrive. If payment is made via wire transfer or cashier's check, we will hold the titles for 5-10 business days or until ALL funds have cleared. Please call if you have any questions regarding our titling policy. (Canadian Buyers: we can assist you by faxing proper sales and title documentation to the U.S. Border Crossing on your behalf) Vehicle Shipping ... We are able to assist the buyer with finding a shipping company - call (630) 347-0347 for a FREE QUOTE or additional questions. The buyer is responsible for All shipping charges. LAW Auto Group, Inc. only contracts you with fully bonded and insured transportation services that will deliver the vehicle to your door. We are not affiliated with any Transportation Company and we assume NO responsibility for damages that may incur after your vehicle leaves our premises. If the vehicle is going to be shipped, full payment must be received before the vehicle is delivered to the shipping company. As a service to our clients, we can negotiate the shipping costs for you. You will pay for the shipping costs directly to the Transportation Company. LAW Auto Group, Inc. only uses fully bonded and insured transportation services that will deliver the vehicle to your door. The transport usually takes about 1-3 days to set up. Once the carrier is set up, vehicle delivery usually takes between 5 and 10 days after the pick-up of the vehicle and varies by location, weather, holidays, etc. Please keep in mind that we are NOT affiliated with any Shipping or Transport companies. Any money collected is done on your behalf and is paid directly to the company and you will be provided with the Shipping company immediately so you can stay in contact with them to coordinate drop-off times. Buyer Inspections ... Every effort has been made to accurately and fairly describe this vehicle to you. LAW Auto Group, Inc has tried to disclose all information known about this vehicle for you to make an informed decision. Please be advised that used vehicles will have typical scratches and dings inherent for their year and mechanical parts are subject to fail. LAW Auto Group, Inc welcomes and recommends a buyer's inspection. If you plan to have a buyers inspection, please make sure you inspect the vehicle prior to the auction ending. Buyer is responsible for any inspection charges and fees. Buyers Inspections MUST be completed prior to 24 hours before the end of auction. Warranty Information and Extended Service Contracts ... Unless otherwise stated in the vehicle description, this vehicle is being sold "as is". No representations or warranties are made by seller, nor are any representations or warranties relied upon by bidders in making bids. Manufacturer's warranties may still apply. Extended warranties may be available; please contact us for details. Notice to Bidders ... We reserve the right to cancel all bids and end an auction early should the vehicle no longer be available for sale. It is agreed by all parties in relation to any transaction involving this vehicle that the proper venue for any legal proceedings will be conducted in the state of Illinois. Miles posted in this listing may vary slightly due to local test driving, in-transit repairs, or road testing. Vehicles that are older than 10 years and/or have more than 100,000 miles will be sold as miles exempt. These are pre-owned vehicles and they are sold as 'As Is' condition. However, some vehicles may still be in factory warranty or an extended warranty may be purchased. Ask for details. The buyer is responsible for ALL SHIPPING COSTs. As a courtesy, we can help you arrange shipping worldwide if needed. Feedback will be left by the Bidder and Seller regarding the recently purchased item before leaving LAW Auto Group, Inc. and after the paperwork is signed. This policy is firm and will not waver for any reason. This protects both the Buyer and Seller from Unethical Feedback Practices. Buyer must contact LAW Auto Group, Inc. before hitting the Buy It Now to insure vehicle availability. Our Low Prices and Excellent Items attract multiple buyers and tend to sell extremely quickly. Placing your bid on this auction constitutes your agreement and acceptance of these terms and conditions. Vehicle Condition ... Each one of the vehicles that are on our eBay auction listings are hand-picked PRE-OWNED vehicles and are NOT brand new. We pride ourselves in finding the best vehicles to list on our eBay Auctions. Please expect a certain amount of wear, use, and flaws, as is standard on ANY pre-owned vehicle that has been driven. All pre-owned vehicles including this one may have dings, nicks, chips, scratches and any other marks that are associated with use consistent with age and mileage of the vehicle. Any known obvious defects that are not normal wear and tear will be noted in the listing. Most vehicles are sold at wholesale prices, many are well below Retail prices. We strongly recommend that all buyers consider the purchase of an optional extended service contract (available on most, but not all cars). This will help defray the cost of mechanical repairs and give you additional Peace of Mind. DO NOT ASSUME ANYTHING, please ask if you have any questions. If you have any questions in regards to this, please do not hesitate to call. We will be happy to answer any of your questions. Bid Retractions ... Bid retractions are not allowed nor will be recognized within 12 hours of auctions end. Seller will not be obligated to sell in the event of a late retraction. Negative or ..0.. Feedback Bidders ... We do not allow bidding from negative feedback bidders. New bidders with zero feedback rating should email us or call us prior to bidding. Successful Bidder ... The winning bidder will be contacted via email after the auction closes or he/she must contact LAW Auto Group, Inc. within 24 hours to proceed with payment and delivery arrangements. Non-Paying Bidder ... If your deposit is not received within 1 Day of the close of auction or if the balance is not paid in full within 7 days following the close of auction, we reserve the right to re-list the vehicle or sell the vehicle to the next highest bidder or another qualified buyer. Venue for any legal action such as claims, motions, litigation, settlements, or any legal action associated with this sale from either the buyer or seller is to take place in the State of Illinois. Placing your bid on this auction constitutes your agreement and acceptance of these terms and conditions. In addition, all non paying bidders will be held liable for a $500 re-listing fee that if not paid, WILL be filed with all 3 major credit bureaus. You are entering into a Legal Purchase that should not be taken lightly. No-Excuses of any kind will be accepted by LAW Auto Group, Inc. for Non-Payment. eCarList.com Ad created by DealerSocket Inventory+. Call 877-487-5822 to find out how Inventory+ can service your dealership. 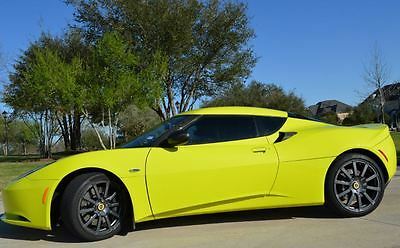 Selling our 2010 Lotus Evora N/A 2+2 in Isotope Green with black interior. Car is currently at 14k miles but I do drive it, so it will go up slightly over the coming days. Options / additions include: Sport Pack Sport Wheels in anthracite Power folding mirrors Star Shield Carbon fiber A pillars Carbon fiber mirrors Carbon fiber interior door pulls Carbon fiber intake vent covers Battery Tender The Evora has been kept current on all service intervals and all Lotus Service Bulletins, and I just had a PPI done. New clutch installed at 9400 miles. Any issue I've found has been taken care of by an authorized Lotus dealer. The 6 year / 54k mile service will be done at my expense prior to sale, which includes full fluids flush, filter replacements, spark plugs, etc. Texas state inspections always passed with zero issue. I can provide a carfax report, additional pictures, maintenance records going back to the original owner, and more info at request. THis is a Calif car, has Arizona Title but I have the Calif Plate. This car was driven the first few years of its life, then was put into storage because it would not pass calif smog. The car is now smog exempt by age. This is a original running and driving car. Everything works except the Fuel Gauge. I am downsizing my collection, my loss your gain. These cars are just starting to go up in value and should continue. This is a true time capsule. I have the original bill of sale along with a small notebook with fuel and oil added during its early life. The engine # is correct. I love this car. 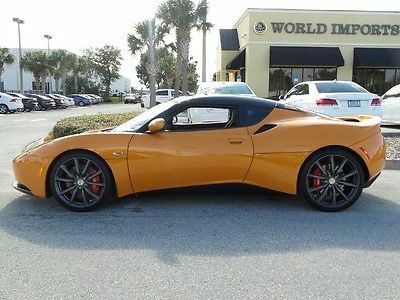 2014 Lotus Evora IPS 2+2 FINANCING * TRADE-INS ACCEPTED * WORLDWIDE SHIPPING Year Make Model Mileage 2014 Lotus Evora IPS 2+2 2,235 Exterior Interior Stock # VIN CADNIUM ORANGE BLACK 4645 SCCLMDTUXEHA10603 Engine 3.5L V6 VVT-I Engine Description 2014 Lotus Evora IPS 2+2 2014 LOTUS EVORA IPS 2+2 ONE-OF-A-KIND SOLD NEW BY US PRISTINE CONDITION HAND SELECTED 904-998-9992 CELEBRATING "31" YEARS IN BUSINESS You are viewing a like new 2014 LOTUS EVORA IPS 2+2. Save thousands on this gorgeous one owner car. Loaded with all the right options. Don't want to miss this car? Don't wait on a return email, Call today at 904-998-9992. 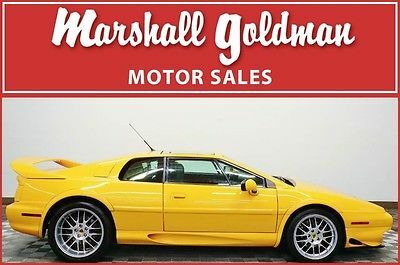 This car comes with the balance of the full factory warranty of 3 years or 36,000 miles from LOTUS. You won't need to do anything to this car! We do offer extended warranty's. Call for a custom quote. 904-998-9992. The list of options includes: IPS (Automatic Transmission) 2,231 Miles Exterior Color: Cadnium Orange (Only one made in this color for the U.S.) Wrapped Black Pack Performance Exhaust Key Options: Navigation, Park Distance Control, Rear View Camera, Heated Seats, 18”/19” Premium Wheels APPROX. 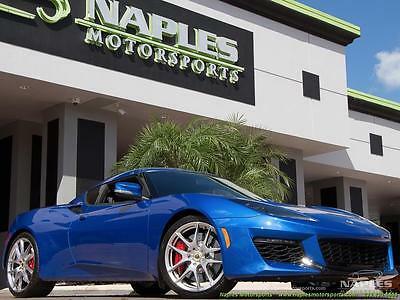 MSRP $88,160.00 + AFTERMARKET OPTIONS This is a stunning color combination for this LOTUS EVORA 2+2. It's mechanically sound, and looks forward to pleasing it's next owner. The services are all up to date, and this car needs nothing. The exterior is free of any dents or unsightly parking lot door dings, and the sparkling finish is just beautiful. You don't want to pass up!!! 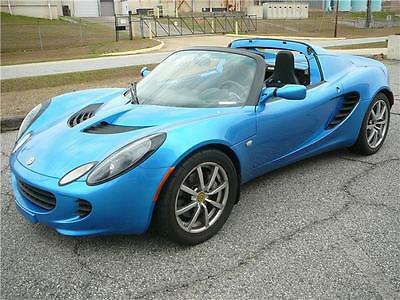 If you have always dreamed of owning a top of the line LOTUS, "Buy it Now"!!! You will impress your friends and neighbors with this gorgeous car. This car qualifies for an extended warranty. I can arrange shipping or airport pick up upon your request. We can arrange world wide shipping at the buyers expense! GOOD LUCK, Lotus of Jacksonville-World ImportsUSA 904-998-9992 When sending an inquiry, please include your name, phone number and a valid email address and email to sales@worldimportsusa.com. Successful bidder will have to pay applicable sales tax, documentation fee ($495.00), tag and title fees. We require a $2,000 deposit within 24 hours of auction close via bank wire transfer. DISCOVER THE WORLD IMPORTS DIFFERENCE...REDISCOVER YOUR PASSION FOR DRIVING! We are Jacksonville's largest GOLD CHECK CERTIFIED dealer. Ask about our certified warranty or comprehensive coverage up to 100,000 miles. We have specialized in low mileage vehicles since 1986! ****ATTENTION EBAY BUYERS, WE WILL NOT ACCEPT ANY OFFER WITHOUT SPEAKING TO YOU FIRST. PLEASE CALL 904-998-9992*** Contact Us Dealer Contact World Imports USA Ask Dealer A Question If you have a question, please call or complete the form below for a quick response. Name Email Phone Question(s) Standard Equipment ENTERTAINMENT Radio w/Clock, Aux Audio Input Jack and External Memory Control Automatic Equalizer Regular Amplifier Concealed Antenna Radio: AM/FM w/CD/MP3/WMA Player 4 Speakers EXTERIOR Tires: P225/40ZR18 Fr & P255/35ZR19 Rr Pirelli P-Zero Performance Body-Colored Door Handles Black Grille Light Tinted Glass Wing Spoiler Body-Colored Front Bumper Body-Colored Power Heated Side Mirrors w/Manual Folding Fixed Interval Wipers Wheels: 18" x 8" Fr/19" x 9.5" Rr Classic Silver Cast Alloy Front Splash Guards Front Fog Lamps Fixed Rear Window LED Brakelights Aluminum Wheels w/Silver Accents Body-Colored Rear Bumper Clearcoat Paint Composite/Aluminum Panels Liftgate Rear Cargo Access Projector Beam High Intensity Low/High Beam Auto-Leveling Headlamps w/Washer INTERIOR Fixed Front Head Restraints and Fixed Rear Head Restraints Recaro Front Sport Seats Glove Box Analog Display Full Floor Console w/Covered Storage and 2 12V DC Power Outlets Perimeter Alarm Remote Keyless Entry w/Panic Button Instrument Panel Bin, Driver And Passenger Door Bins Cargo Space Lights 2-Way Power Passenger Seat -inc: Power Recline, Manual Fore/Aft Movement, Cushion Tilt and Manual Rear Seat Easy Entry Remote Releases -Inc: Power Cargo Access and Power Fuel Sport Leather Steering Wheel Front Cupholder Carpet Floor Trim Bench Front Facing Cloth Rear Seat Gauges -inc: Speedometer, Odometer, Engine Coolant Temp, Tachometer, Trip Odometer and Trip Computer 4 Person Seating Capacity Fixed Rear Windows Systems Monitor Interior Trim -inc: Metal-Look Instrument Panel Insert, Metal-Look Console Insert, Aluminum Interior Accents and Leather Upholstered Dashboard Outside Temp Gauge Day-Night Rearview Mirror Full Carpet Floor Covering Manual Tilt/Telescoping Steering Column 6-Way Driver Seat -inc: Manual Recline, Fore/Aft Movement, Cushion Tilt and Manual Rear Seat Easy Entry Leather Seat Trim 2 12V DC Power Outlets Trip Computer FOB Controls -inc: Trunk/Hatch/Tailgate Redundant Digital Speedometer Power Door Locks Full Cloth Headliner Manual Air Conditioning Leather Door Trim Insert Engine Immobilizer Power 1st Row Windows Leather/Aluminum Gear Shift Knob MECHANICAL 3929# Gvwr Engine: 3.5L V6 VVT-I Electro-Mechanical Limited Slip Differential Transmission: Sports Ratio 6-Speed Manual 4-Wheel Disc Brakes w/4-Wheel ABS, Front And Rear Vented Discs and Brake Assist Engine Oil Cooler Hydraulic Power-Assist Steering Front And Rear Anti-Roll Bars Double Wishbone Rear Suspension w/Eibach Coil Springs Rear-Wheel Drive Bilstein Brand Name Shock Absorbers Double Wishbone Front Suspension w/Eibach Coil Springs Sport Tuned Suspension Single Stainless Steel Exhaust w/Polished Tailpipe Finisher 15.9 Gal. Fuel Tank SAFETY Dual Stage Driver And Passenger Front Airbags Airbag Occupancy Sensor Side Impact Beams ABS And Driveline Traction Control Electronic Stability Control (ESC) Low Tire Pressure Warning Outboard Front Lap And Shoulder Safety Belts -inc: Pretensioners Photos About Us At World Imports USA & Lotus of Jacksonville, we invite you to rediscover your passion for driving -- and remember why you choose to own the very best. As Jacksonville's premier destination for new and pre-owned vehicles, World Imports USA showcases a vast inventory of vehicles that we know can deliver the ultimate driving experience. Our confidence stems from our proven ability to first acquire the very finest in low-mileage, pre-owned vehicles from anywhere in the country. At World Imports USA, we are free to choose only those vehicles that meet our exacting standards, regardless of make or model, foreign or domestic. Each of our vehicles is then thoroughly inspected by our highly-trained technicians and certified by a Gold Check limited warranty. The result? A very desirable vehicle priced to deliver great value, a distinction that our many savvy customers appreciate. If you have a passion for driving, we understand that you want your vehicle to look and perform at its very best. And you can be sure that all of the vehicles in our inventory are carefully selected to provide that kind of experience. Stop by our world-class showroom conveniently located on Beach Blvd, just east of Florida 9A. Or view our complete inventory right now - just click the See Our Inventory button to the left. Either way you choose to shop, you will find that all important information about every vehicle is clearly disclosed. Nothing is hidden. No marketing gimmicks. And definitely no high-pressure sales tactics. We don't need to use those tricks, our vehicles sell themselves. And even if you're not looking to purchase a vehicle (or you purchased your current vehicle elsewhere), you can still enjoy all the distinct benefits of exceptional service and attention to detail that World Imports USA offers. Our state-of-the-art Service Center is open to all vehicle makes and models, and provides the very best in automotive maintenance and repair. Or keep your vehicle looking like new with a visit to our Detailing Center -- where no detail is overlooked. At World Imports USA & Lotus of Jacksonville, we are always working to deliver the ultimate driving experience. Below are a few of the other vehicles currently available from World Imports USA Terms and Conditions While every reasonable effort is made to ensure the accuracy of this information, we are not responsible for any errors or omissions contained on these pages. Additionally, we do not and cannot guarantee that every vehicle sold will be recall-free. Please verify any information in question with World Imports USA - Lotus of Jacksonville. Warranty Information Have the utmost confidence when bidding on this vehicle! This vehicle is being offered with the remainder of its full factory warranty. Please inquire for the specifics on this warranty. Terms & Conditions Winning bidder must contact us within 24 hours of auction end, and make arrangements for payment at that time. Deposit noted in description must be made using BANK WIRE TRANSFER is due within 48 hours of end of auction. The remainder is due within 7 days of auction end. Vehicle pick-up from dealer property within 14 days of auction close. If no contact and/or deposit is made within 48 hours, we reserve the right to re-list the vehicle, sell it to the next high bidder, or sell it otherwise. Please if financing make sure that your financial institution accepts this vehicle before bidding. Some of our vehicle for sale on eBay are manufacturer buybacks and come with that noted on the title. Be sure your financial institution will finance the vehicle, or call us for finance options prior to bidding. Buyer is responsible for pickup or shipping of this vehicle. If you wish to have it shipped using a service, we will gladly cooperate. You can locate shippers by doing a search for `auto shippers`. If you are not sure about something, please ask! Do not assume anything not listed is included. We reserve the right to cancel bids for excessive negative feedback. We reserve the right to end the listing if the vehicle is no longer available for sale. Please do not bid on this auction unless you are serious about owning this vehicle. All non-paying high bidders will be reported to eBay, and negative feedback will be posted. PLEASE ONLY BID WHAT YOU ARE WILLING TO PAY. IF THE RESERVE IS NOT MET, WE MAY CONTACT THE HIGH BIDDER TO OFFER THE SECOND CHANCE OPTION. Fee and Tax Information: We can assist with transportation ANYWHERE in the world at buyers expense. Lotus of Jacksonville - World Imports is a Florida corporation since 1986 with 100% positive feedback specializing in low mileage certified vehicles. For further questions please call or email. Deposit noted in description to be made within 48 hours of auction close and balance due in full within 7 days of auction close. Seller reserves the right to close auction if vehicle sells locally. NOTE: If you receive a Second Chance Offer, or any type of an Offer regarding one of our vehicles, please make sure it comes from Jake Sydorowicz. It will come from our user ID with lotusofjacksonville@gmail.com as the email address. Any offers that are not from us should be reported to eBay immediately. eCarList.com Ad created by DealerSocket Inventory+. Call 877-487-5822 to find out how Inventory+ can service your dealership. I am selling my Super Seven that I imported from the Netherlands. 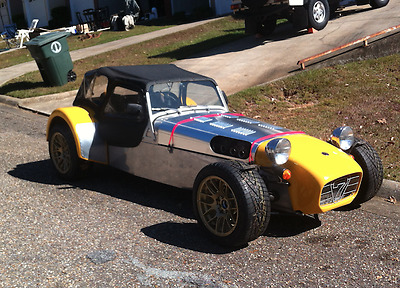 It was imported as a Caterham Super 7 but appears to be built by Dutton. Build binder available. I swapped the wheels and planned on changing brakes, adding a roll bar and making it a track car but plans changed. Car does not start, I have not driven it since 2014. Has clear NY Title. True milage unknown, probably less than 50k Miles. Hood is present but not drilled, no air filters installed. 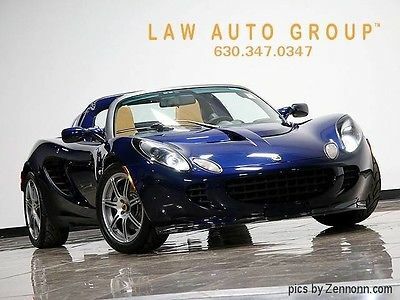 2005 Lotus Elise 30,244 Miles Magnetic Blue Convertible 4 Cylinder Engine 1.8L/ Vehicle Overview: Stock: 1444 VIN: SCCPC111X5HL34241 Year: 2005 Exterior Color: Magnetic Blue Make: Lotus Interior Color: Black Model: Elise Mileage: 30244 Engine: 4 Cylinder Engine 1.8L/110 Transmission: 6-Speed M/T Vehicle Description: This car has service records to show any work that has been done. No accidents, Excellent condtion, shifts perfect, clutch perfect. Everything works. Tires brand new. Handles like new and drives fantastic. Power windows, It has both tops, Carbon Fiber Top and convertible lop. Feel free to contact Mark at 706-527-5331. No rust, No snow, No salt history. Vehicle Specification: Exterior: Body color rear trunk lip spoilerFront air damFront/rear body color bumpersRear air damTinted glass Dual body-color manual mirrorsFront mud guardsIntermittent windshield wipersRear diffuser w/aluminum grillsUnderbody aero cladding Interior: Air conditioningAnti-theft system w/immobilizer & alarmBlaupunkt AM/FM stereo radio w/CD player, (4) speakersDual sun visorsLeather & cloth door trimTachometer Aluminum trim on shift knob, e-brake handle, window winders, floor, center dash console, doors & steering wheelBlack carpeted front floor matsDual composite sport front bucket seats w/manual recline & integral headrestsEngine start buttonLeather-wrapped Momo steering wheel Mechanical: 1.8L DOHC MPFI 16-valve aluminum alloy mid-mounted I4 engineFront AP Racing/rear Brembo pwr vented cross-drilled disc brakesInflatable spare tire kitRear wheel drive 6-speed manual transaxle w/ODIndependent front/rear suspension w/Eibach coil springs & Bilstein gas shock absorbersPwr rack & pinion steeringStainless steel silencer w/dual chrome exhaust tips Safety: Driver & passenger airbagsSide guard door beams Front outboard 3-point seatbelts Vehicle Photos: Vehicle Warranty: Vehicle does not have existing warranty About Mark Levy Auto Center Inc: My name is Mark Levy. At age 20 I began in the automobile business. I opened Mark Levy Auto Center in 1975 as an independent used car dealer. I still currently own Mark Levy Auto Center. I have been buying and selling cars now for over 40 years. I have never been sued or had any disputes filed against me. I also do consulting in the automobile industry. I go to auto auctions during the month and purchase many cars. I select a hand full each month and put them on EBAY at special prices and offer them to the public. Most of the cars I purchase go to either new car dealers or used car dealers. I have always run my business on the therory that you should always treat customers as you would want to be treated yourself. Take a look at my website to learn more about me and be sure to read some testimonals. Terms and Conditions: Payment Options We accept the following payment methods: - Cashier's Check/money order - Loan check from eBay Financing Center - Cash (in person) Vehicle Pickup & Shipping All shipping charges are buyer's responsibility. General Terms Deposit required within 24 hours of auction ending. All Deposits are non-refundable. Payment in full prior to pick up. Fees and Taxes Fee and Tax Information: Georgia residents will pay at the time they transfer their title a tax called Title Tax. It has now taken the place of Sales Tax. The good is no more advolerm tax in Georgia each year for the tag renewal. * I DO NOT CHARGE ANY DOC FEES OR HIDDEN FEES ON ANY SALE.